Nestled in the heart of the La Trobe Valley in Gippsland, Traralgon is one of Australia’s major power industry centres, generating electricity, oil and natural gas. But don’t let its industrial background fool you; the region is well known for its also home to beautiful natural experiences and is considered the entertainment capital of Gippsland. Discover the surprises of this beautiful Victorian city with our Traralgon accommodation. Once a gold rush town, Traralgon is now a bustling city with wide, tree-lined streets and heritage buildings everywhere you look. Visitors to the CBD will have no shortage of things to do, with dozens of al-fresco cafes, excellent restaurants and shopping arcades spread throughout town. Traralgon also has a buzzing nightlife scene, so be sure to visit pop into one of the many bars, clubs and pubs, or catch a show at the Latrobe Performing Arts Centre. For a fun day out with family or friends, head to Newman Park and explore the large adventure playground which is great for kids and adults alike. The park even has a miniature steam train that operates on the 4th Sunday of each month! Roll out your picnic blanket and enjoy a feast under the large trees and gazebo or head across the bridge to Victory Park to see musicians playing on the historical band rotunda and an intricate marble statue of Lars Compatalis. Want to get even closer to nature? Traralgon is a 20 minute drive from the Morwell National Park, which features the Fosters Gully Nature Walk, one of the best in the region. This walking trail takes you through the dense bush and is home to more than 40 species of stunning native orchids. Tarra Bulga is another national park in the area; here, keep an eye out for Australian critters like wombats, wallabies and platypuses, or birdwatch for the yellow-tailed black cockatoos and the flamboyant black and olive eastern whipbird. You can even go on a rafting tour of the rapids, created by the water from Tarra Falls rushing into the river below. Traralgon is an easy two hours drive from Melbourne by car and approximately one and a half hours by train. No matter how you get there, you’re sure to enjoy Traralgon and all it has to offer. 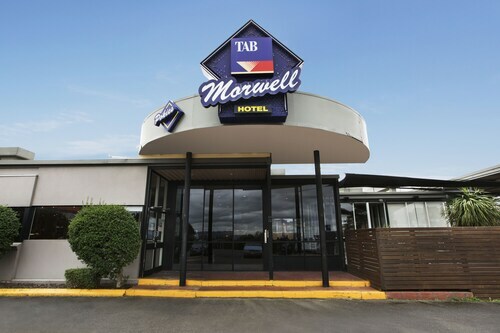 Book your Traralgon hotel today. How Much is a Hotel Room in Traralgon? 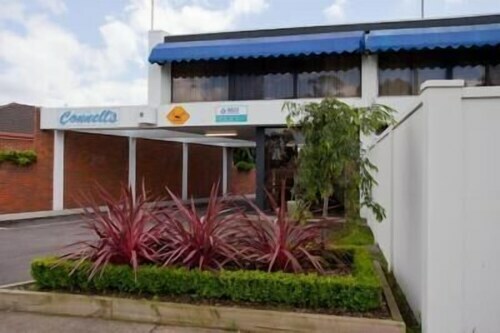 Hotels in Traralgon start at AU$99 per night. Prices and availability subject to change. Additional terms may apply.